This past week I rebuilt my office desktop pc. I went from Windows 7 Ultimate (RC) to Windows 7 Ultimate (RTM). I did a clean install and everything when well until I tried to run the Response Point Administrator program after installing it. 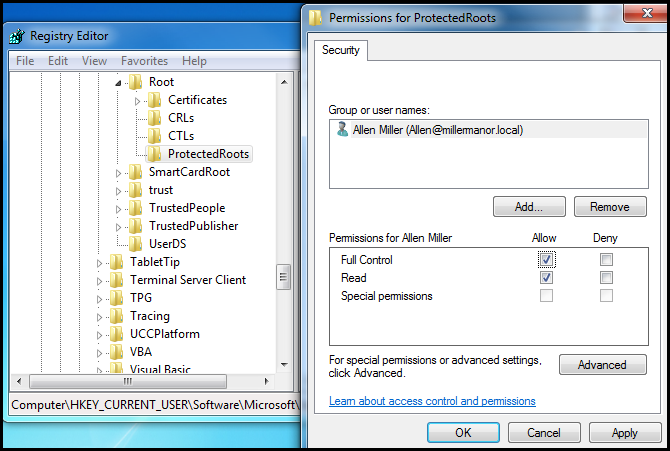 The initial running of the program normally wants to install the Base Unit certificate to your workstation. 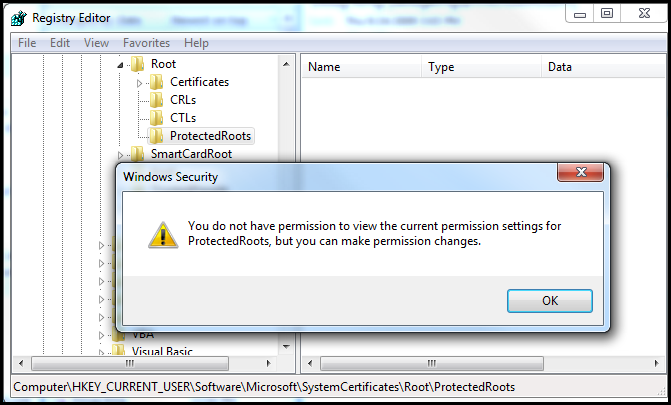 The screen where you view the certificate details ordinarily has a button to Install the certificate. In my case - there was NO BUTTON. I tried using mmc.exe with the certificate add-in. I would go through the steps to install the certificate, I received a message upon completion telling me THE IMPORT WAS SUCCESSFUL. However, when I viewed the list of certificates in the data store - there was no certificate for Response Point! team for help. They came to my rescue. Many Thanks to Doug King and team. This was an O/S issue. They found a KP article 932156. 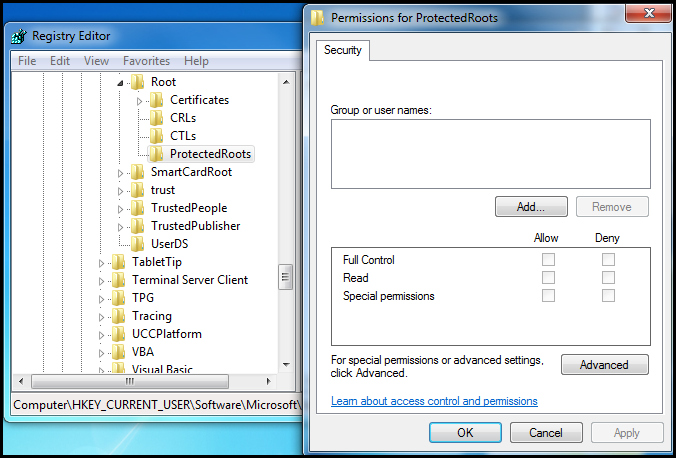 This article has a hotfix for Vista but since I was running Windows 7 I used the included instructions to change a permission in the registry. I've got a few visual aids I collected during this trouble shooting. In the event that they might help someone else - I include here for reference. First is a video that illustrates the problems that I observed. If you want to see the video in larger format, you will probably need to go to http://drop.io/allenmiller and download it. Next are some images that illustrate the fix.